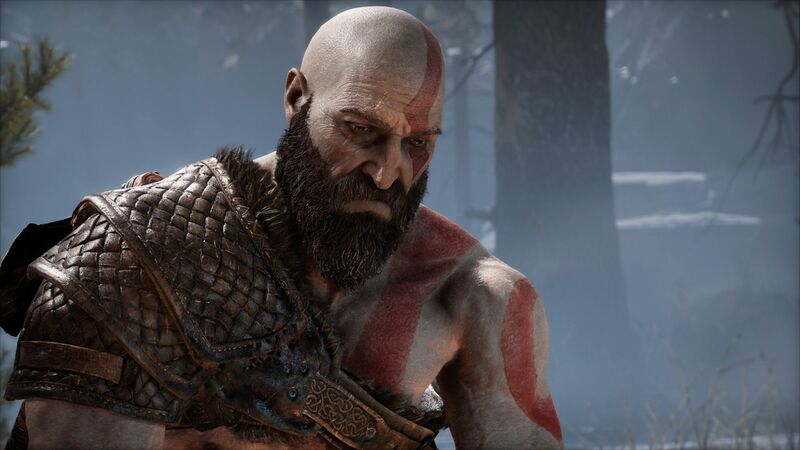 Sony Santa Monica reinvented the wheel with the new God of War, adding complexity exactly where appropriate, and a story that deserves to be experienced. 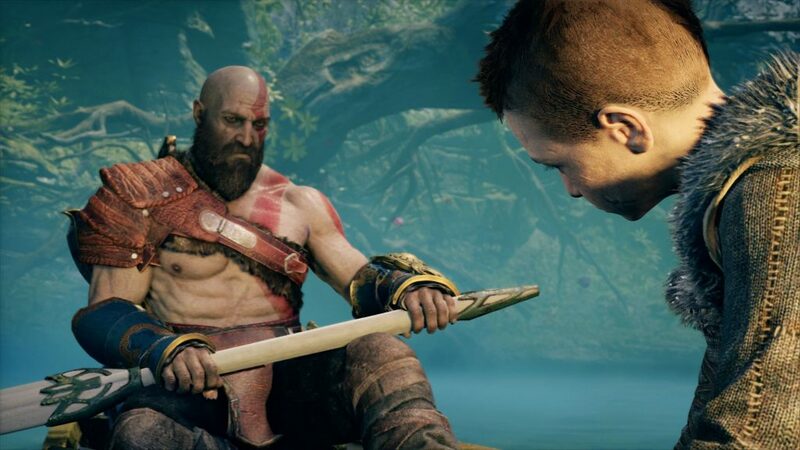 The brand new chapter of the God of War saga is finally here, but if you expect it to have much in common with Kratos’ tribulations from the past, you’ll probably be disappointed, or at least extremely surprised. It’s time to clear our mind of all preconceptions and embark into a brand new adventure. The most obvious difference is the setting: gone is Greece, replaced by the cold North. 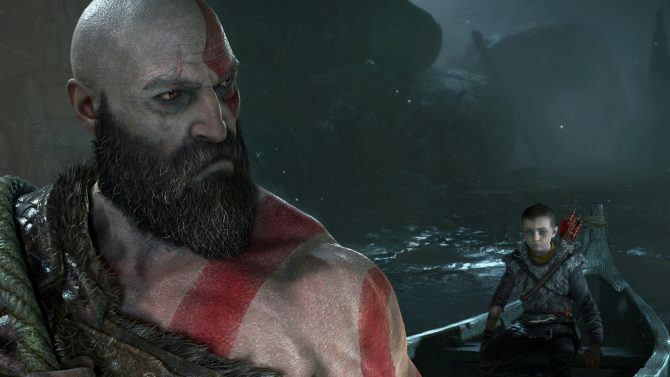 Kratos is still going to meet and fight gods, but this time around it’s Norse mythology to form the base for the story, and it does so for the better. The good folks at Sony Santa Monica didn’t just adopt Scandinavian myths and legends but forged them into one of the most vibrant and interesting fantasy settings I have seen in a long time. The story begins with Kratos and his son Atreus as they burn the body of the boy’s mother. Her last wish dictates that the two scatter her ashes from the highest peak in the realms. Before they can depart, a strange tattooed man appears at the door of Kratos’ hut, seemingly aware of his divine nature. Our short-tempered hero doesn’t like to be questioned, so a titanic battle ensues. 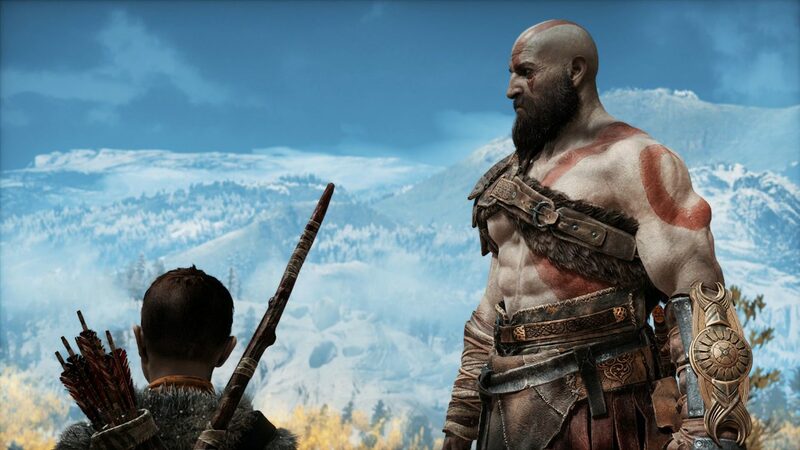 After finally dispatching the rather resilient opponent, Kratos and Atreus depart for their adventure, which will definitely be a lot more complicated than expected. 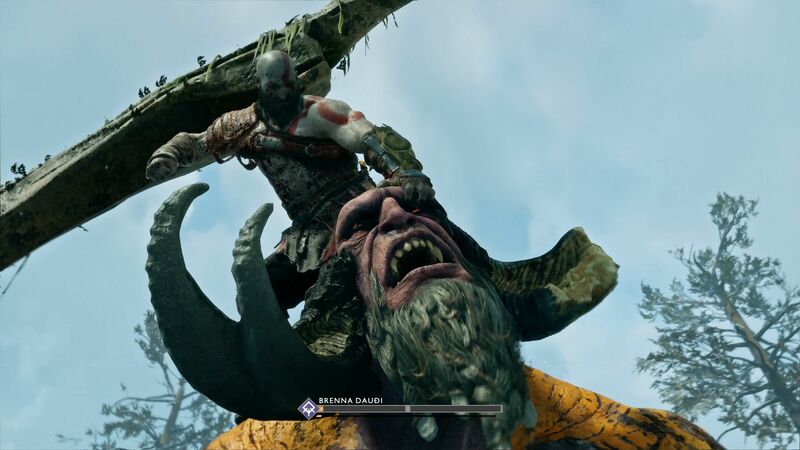 The change in setting is just the tip of the iceberg, as Kratos himself is quite far from the consistently raging character that we left at the end of the previous game. While he still struggles to keep calm and collected, his newfound role as a father gives him new responsibilities, forcing him to hold his nature at bay or to find a new one within himself. Of course, being the son of the God of War isn’t exactly easy, especially if said god isn’t willing to tell you squat about his own nature and yours. 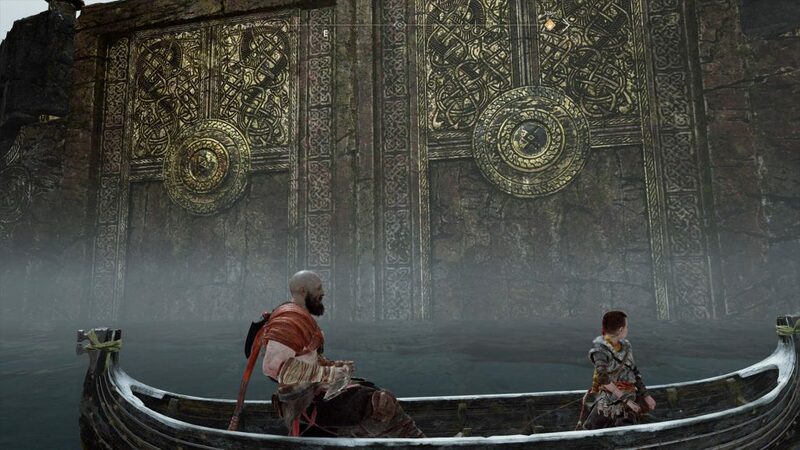 This is the conundrum that Atreus will have to face, as the two men, old and young, struggle to get closer to each other possibly without this resulting in too many bruises. 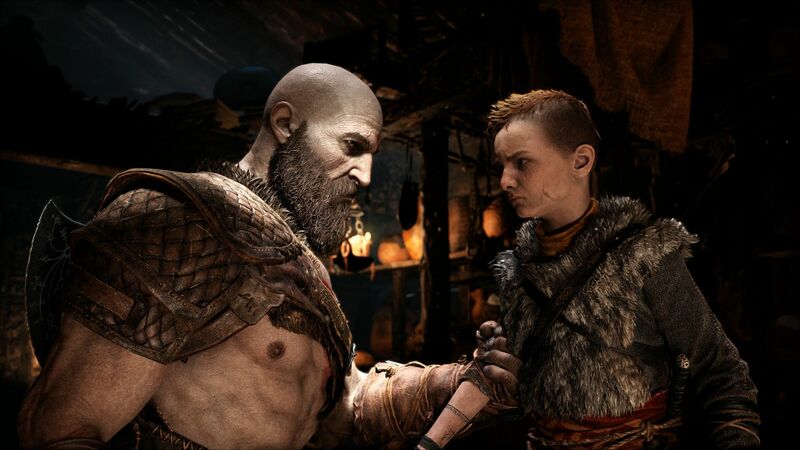 The generational gap is the least of the problems that Kratos and Atreus will have to face, and the way they grow together as characters is probably one of the most charming aspects of this game. This is probably the biggest innovation brought to the table by God of War. The previous games of the series were fun despite their characters. Exhilarating action gameplay and fantastic graphics (for the time) were the main attraction, while the story was pretty much an accessory. It’s a bit difficult to have compelling and nuanced storytelling when your main character has two states of mind, angry and angrier. On the other hand, the new title comes with a cast that is rich in charm and depth. Kratos himself has grown into an extremely compelling character with plenty of emotional depth and his share of vulerabilities. His guff manners should not deceive, as there is definitely a lot to discover beneath the thick hide of this veteran father-warrior. As a matter of fact, in some aspects, he has turned into the geometric opposite of who he was. His abrupt speech patterns and unfriendly mannerism used to make him annoying. 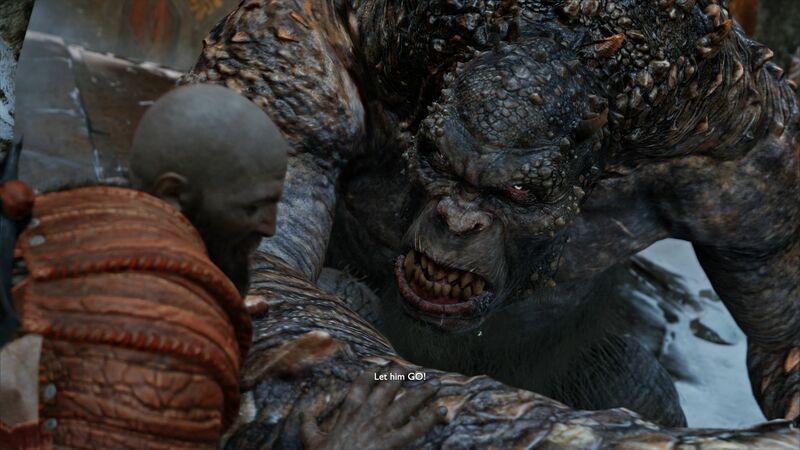 Now, thanks to the exceptional writing and the presence of Atreus as a perfect counterpart, they have become endearing traits, and definitely enjoyable. Atreus himself is a great co-protagonist. 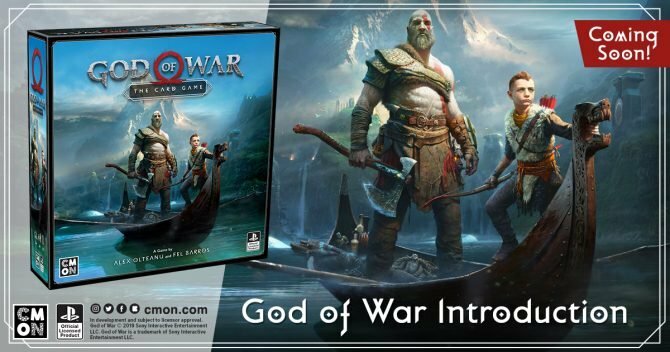 Kratos’ son is depicted as flawed and immature. Yet, that’s done in a way that masterfully avoids turning him into a nuisance and indeed encourages the player to grow attached to this fledgling would-be warrior who struggles to live up to his super-stern father’s expectations, while dealing with his own mysterious and often uncomfortable nature. The rest of the cast is equally well written and designed, and I can honestly say that for the first time I truly enjoyed the story of a God of War game. Until a couple of years ago, I would have never, ever, thought this possible. 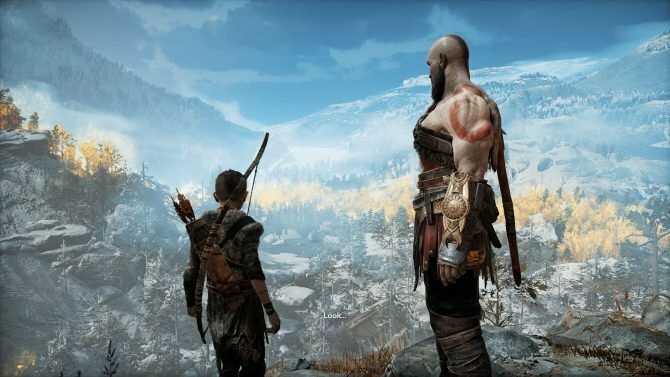 The God of War series is all grown-up now, and I say this with the most positive sentiment possible. For the first time in the story of the franchise, the strong narration and writing spark a wide range of feelings, going from deeply moving movements to absolutely hilarious skits, and the best part is that it all feels perfectly natural. The story and characters are supported by absolutely superb voice acting, and the continuous dialogue between Kratos and Atreus is interesting and enjoyable all the way through the game. Speaking of audio, every single aspect of the production is top-notch, from the sound design that perfectly sets the atmosphere of the imperious Norse landscape, to the score by Bear McCreary, which is hands-down one of the best soundtracks I have heard in a game of this genre in a long time. One of the few aspects sticking to the tradition of the series is the graphics. I tested the game on PS4 Pro, and I have to say that the game looks truly spectacular. I am always amazed by the visual results that Sony’s top first-party studios manage to achieve on a console, and this is no exception. Those playing on PS4 Pro like I did will have the chance to choose between a “favor resolution” mode that renders the game at 2160p checkerboard or a “favor performance” mode that renders at 1080p, with better frame rate. The game is a true joy for the eyes in both modes, but it’s certainly good to have options (you can check out the difference in our dedicated article). It’s actually difficult to judge which element looks better between the rich environments and the beautifully detailed character models. The world is brought to life masterfully, even thanks to advanced lighting and effects. Amazing texture work is probably the best aspect of the characters, and rarely I have seen gameplay models so close to cutscene quality. They’re super-detailed, expressive, and fantastically animated. Speaking of animation, it feels extremely visceral thanks to the combination with proficient camera work and the awesome sound design I mentioned above. 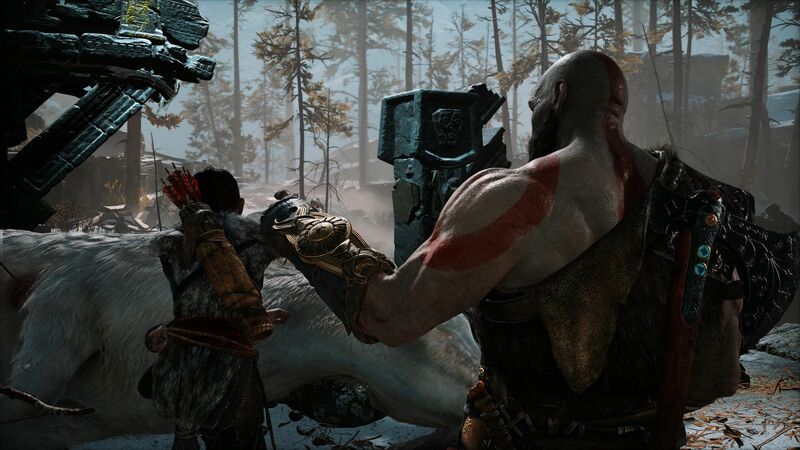 You will “feel” every impact of Kratos’ axe directly in your stomach, and even something as simple as opening a chest has an “oomph” that is rarely seen in games. Of course, the true king of the God of War franchise has always been gameplay, and that still holds true with this new game. Yet, this is not to say that it’s similar. As a matter of fact, it really isn’t. The new God of War is closer to an extremely stylish action-RPG than to a pure hack-and-slash. The development team adopted a rather deep system involving plenty of loot, equipment and upgrades, alongside multiple skill trees, and this works as a very solid base for the new battle mechanics. Combat itself has plenty of depth and nuance, discouraging button mashing even at the normal difficulty setting, and spurring the player to learn his “tools of the trade” in the forms of combos, blocks, dodges, and magical abilities. It’s definitely more tactical and complex than what God of War fans are used to, without losing one bit of its exhilarating nature. The game presents the player with a good variety of enemies, each of which requires a different approach to be fought effectively, keeping you on your toes and ensuring that battle never gets old all the way throughout the adventure. Things are made even more interesting by the fact that you don’t fight alone. Atreus acts as an adventuring companion and as the perfect distraction to allow you to unleash that devastating and extremely satisfying combo. Like his father, he can be customized (even if to a lesser extent) in order to further adapt him to your favorite playstyle or to the situation. His presence adds another layer of depth to the already engaging battle system. The true star, at least for me, is Kratos’ new axe. It’s powerful and visceral, turning combat into a brutal and immersive activity. Upgrading and customizing it is satisfying and rewarding, and it comes with an extremely cool feature: not only it can be thrown with various effects depending on your skills and customization, but it can also be recalled by pressing triangle. When you do that, it won’t just reappear in Kratos’ hand, but it will actually fly back to it, hitting unsuspecting enemies in the back. It’s actually difficult to describe how cool this feels before you try it yourself. Once mastered, God of War’s combat is one of the most rewarding I have tried in a long time. Kratos becomes a hurricane of death and destruction, blocking, shield bashing, slicing, dicing, spinning around and throwing his axe at an enemy further away, while pummeling closer monsters with punches and kicks, and then recalling the weapon to catch two more draugr in the back, before going in for one of the several spectacular finishers. It’s fast, complex, addictive, and exhilarating, but I never once felt like I wasn’t in control. As a matter of fact, I have never felt so much in control in a God of War game, and the sensation this gives is fantastic. The axe is also used extensively to solve quite a few puzzles scattered across the landscape. One particular kind requires you to strike some bells in order to unlock a chest. It may sound banal, but it often isn’t, and fluidly hitting your targets while calling your weapon back will feel definitely satisfying the first time you manage to pull the stunt. Another extremely pleasing aspect of God of War is just how much content it packs. It’s not an open-world game, but there is a lot of real estate to visit, and plenty of room for exploration and for hunting secrets on top of the long and meaty story. Every realm that you visit looks and feels very different, and it’s really amazing that Sony Santa Monica managed to include this much gameplay while keeping the overall level of quality so consistently high. There is even an enormous amount of lore that can be collected to immerse yourself deeper into the setting.